Books on First Blog: Happy Birthdate to Some Overachievers! Happy Birthdate to Some Overachievers! As a co-worker once said, "Today is not my birthday; my birthday was 51 years ago today," today is the 200th anniversary of the birthday of Henry David Thoreau. Today, he probably would have be considered a weirdo survivalist or slacker environmentalist, but back in the time (1845) when he moved to a cabin (built with his own hands!) and cut all those "trivial" social bonds, aiming to commune with Nature, he was considered a diehard Transcendentalist who needed to "test" the theory that divorce from humanity will lead to enlightenment with which one can then return to humanity. We are almost positive that his parents did not see this coming when they gazed upon him on his birthday. Another anniversary of a birthday today is 1/10th the age of Thoreau -- Malala Yousafzai, who turns twenty today. Her claim to fame came at a great physical cost. Supported by their parents, a group of Pakistani girls had a minibus take them to school each day. "Fundamentalists" objecting to the education of females (which is not what Mohammed preached or practiced) stopped the bus, aiming to silence Malala, the most vocal advocate of the right of girls to be educated the same as boys. With great international hue and cry, she was transported to the United Kingdom for treatment and survived. At aged 15, she took the fame and ran with it, championing girls' education and opportunity for female success around the world. 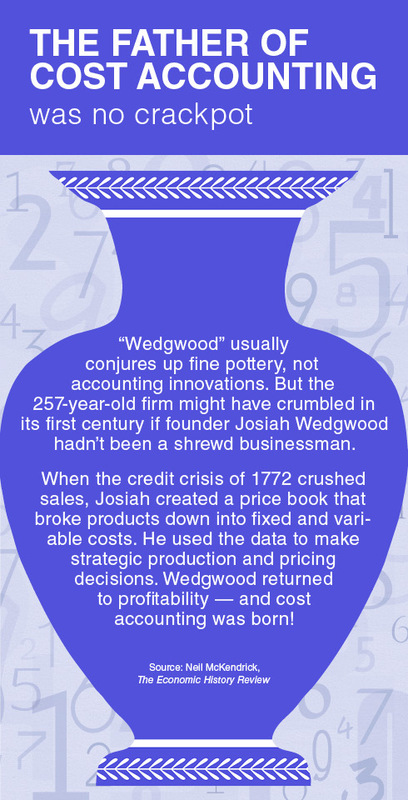 Another over-achiever was Josiah Wedgwood, born on 12 July 1730. He not only ran a successful ceramics company, he made it successful through innovation, creativity, customer focus and the development of cost accounting! Wikipedia does not have his big contribution to managerial accounting, which included overhead and dedicated product costs, but it has been recognized by Neil McKendrick, whose article in The Economic History Review has been cited often.